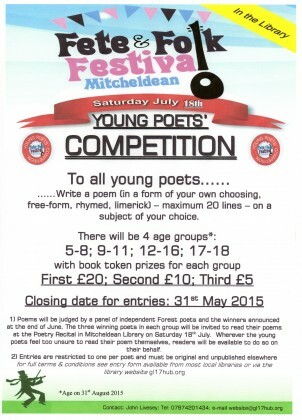 The successful Poetry Recital will be hosted again in the Library on the afternoon of Saturday 18th June, a unique celebration of Forest life and history. This year the event will include our very own X Factor in the form of a ‘Young Poets’ Competition. 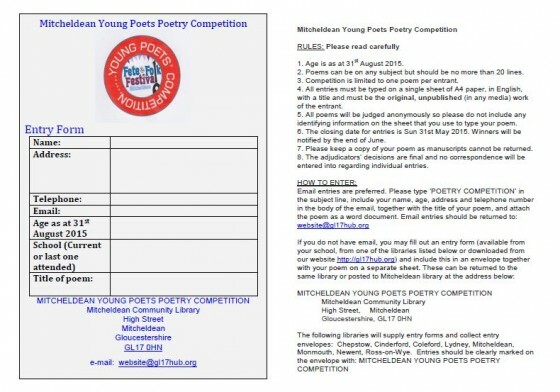 Poets from 5-18 are invited to enter. The closing date for entries is 31st May and the winners will be announced at the end of June.